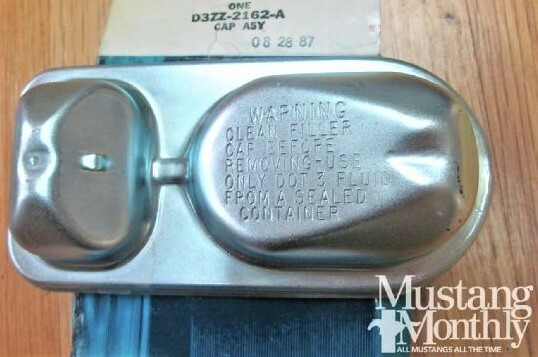 WTB an original brake fluid reservoir cap/lid for my 71. Thanks! since most of the master cylinder caps have had multiple replacements over the years, I'll keep it simple and list the Production installed cap and any replacement numbers. Bendix was the OE supplier to Ford so if you need one now, it should be an easy find at your local Parts Store. If looking for a period correct replacement I would start with Don @ Ohio Mustang Supply. If its for drum brakes, I will have one off my 71 soon. I am switching to power disc. You can have it if you want it. Thanks Y'all. Do you have a picture of it just to see what it looks like? I do have factory disc brakes and so 30 years ago replaced the cap with a chrome version. If I can find a period correct cap I'll have it chromed anyway. 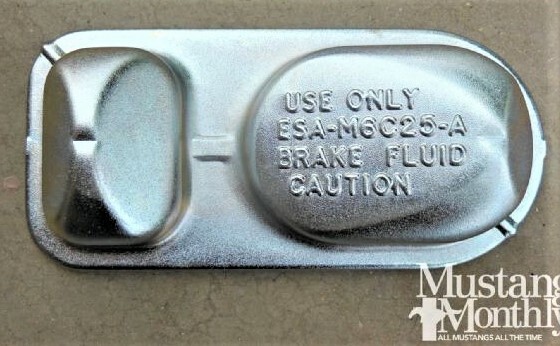 About four years ago Mustang Monthly had an article on identifying Brake master cylinder caps. The first photo is the C9AZ-2162-A. The second and third is the replacing D3ZZ-2162-A with the raised lettering and the indented style. Other than the style of lettering the way the cap is vented was the only difference. Thanks secluff, the reason I'll have mine chromed is that those repro lids chrome quality isn't all that great. I have had a repro cap on mine for a long time and it's time for it to go.